The versatile VDM Expansion Module can be used as a LED Dimming module to simulate Sunrise/Sunset, Lunar Cycle, Clouds and Lighting with Apex Ready+ fixtures. Or use the module as a Variable Speed Pump control with Apex Ready pumps such as Tunze Turbelle Stream 6105, 6155 and 6255. Ordered one with an Apex El on Thanksgiving the minute it went on sale. They had 100 or more in stock at the time. My package showed up and no vdm. Called and they confirmed I order when they had stock but I just got a$$ed out. So now I have to wait till they come back in and I didn't even get an apology we messed up your order. So maybe I'll update this review if and when I get one. I needed two variable ports for a Gyre pump I added to my system (one for variable speed, the other for forward/reverse direction), and only had one port left open on my Apex controller unit. This module is easy to set up and adds 4 (2+2) additional variable voltage ports, which function just like the built-in ones, to your Apex system. Links lights with the apex system. The only way to control my AI sols is with a controller, therefore required for my system. Works daily with no issues. I currently use two of these modules with my Apex Jr. One to control circulation pumps (only 1 port used so far) and the other to control my Onyx dimmable light fixtures. It was quite easy to create profiles and outlets. Easy to modify as well. These are very helpful to make your reef a more natural ecosystem. Definitely recommend to other reefers... or even FOWLR keepers! I installed an LED retro kit for my NC 28G and the VDM module worked great to mimic sunrise and sunset! I also use it for moon light phase. Very easy to install and program. Hooks up to the Apex with no trouble. Finally I have light control. I could not wait to dim my Kessil A360WE. BRS was excellent when the wrong module was shipped to me twice. It was easy to connect and program. Hardest thing is choose how ramp the color and the intensity. If you need to control led's or pumps with 1-10v with the apex, this is what you need. It installs easily. Like others have said the apex programming is not the easiest, but there are plenty of examples online. It does what it suppose too, once you figure out all the programming. 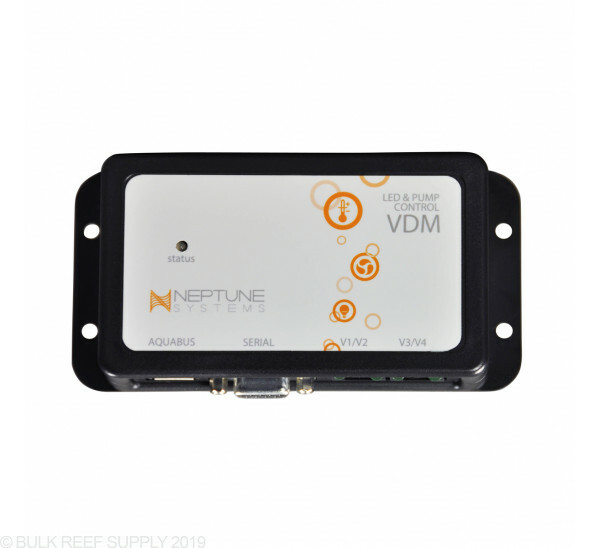 I have the VDM for my Kessil A360W. Once I got all the profiles setup and all different control features working. No problems. Easy to install. It works we'll but it's kind of a pain to get the hang of the programming. They really could have simplified it. Also they should have used a different typ of connection when not using the leds that they are mainly made to be used with. How ever when all is done it dose the job as advertised. Are there any advantages to using this for Kessil lights vs the actual controller Kessil makes? There is not a major advantage to using the VDM instead of the controller. The Controller is nice as it is easy to set up and control. The VDM will require some programming to get the kessil to run for specific times. Feel free to let us know if you have any further questions! Could I use this with an Apex Jr. to perform simulations and dimming on aRadion XR15w Pro? 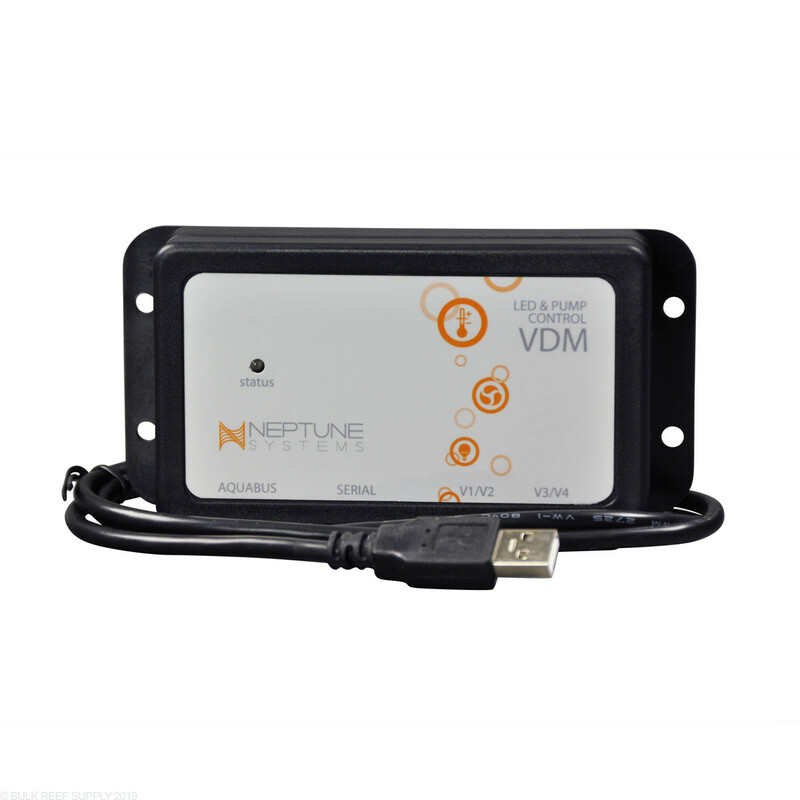 Not with the VDM for that you will need the WXM by Neptune Systems. I have the newest apex. Do I need this to run my tunze pumps? I see a compatable outlet on the powerbar already. Can I just use that instead? Your Apex comes with two Variable Speed Ports (each port will control two pumps) and with the 2 Stream Pump to Apex cable you can plug each end of the cable into separate Tunze controllers, and then the other end into an open variable speed port allowing you to control the pumps independently. 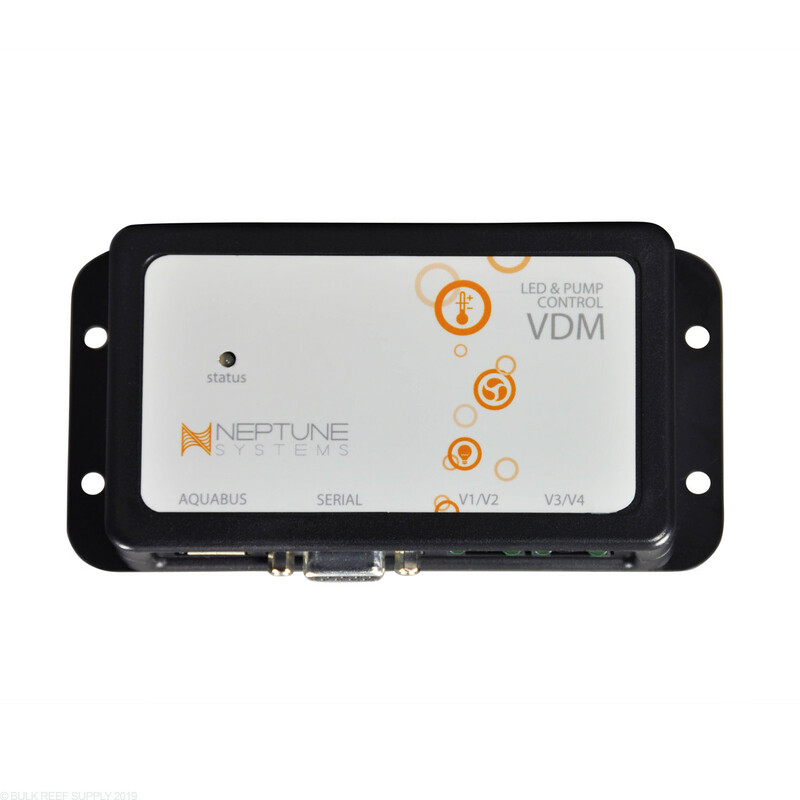 Is the vdm module what I need to connect my orpheks to my Wi-Fi apex? If so, do i also need a cable? 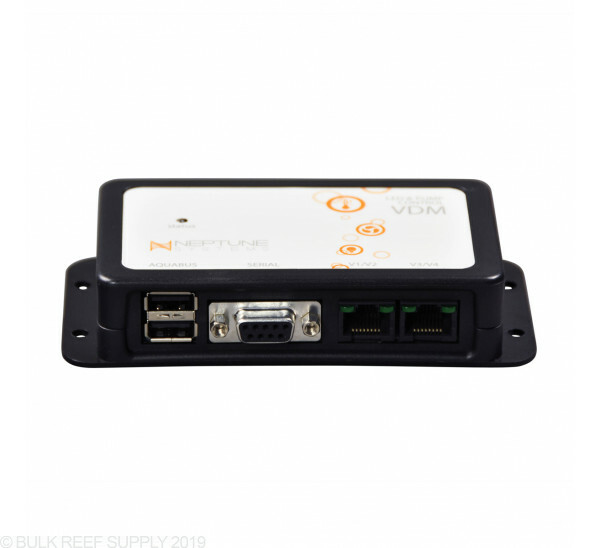 If your Orphek model has an RJ45 connection port, this will allow you to connect and control your light through the VDM dimming control module. There are a number of Orphek models, and at the moment we don't have comprehensive information, but we aren't aware of an option to control Orpheks directly through wifi communication. I have 3 AI Sols, a Waveline 6000 and a Gyre 130 with Icecap module. I bought one Apex VDM module so far. Do I need another? Not understanding how many ports are on the module. AIs hook up off serial connection correct? You will need one module for the Gyre (depending on if you want reverse the unit will take up v1/v2 and v3/v4. One Voltage port for the wave line (either V1/V2 or V3/V4) the sols require the serial port. If your sols are unable to be daisy chained (I do not believe they can) an individual VDM will be needed for each. Feel free to let us know if you have any further questions! Would this be what I needed to run my Zetlight 7000 lights? What all would I need to do? I'm afraid the ZD-7000 doesn't have a control option for connecting to a 0-10v reference port for control through this module. 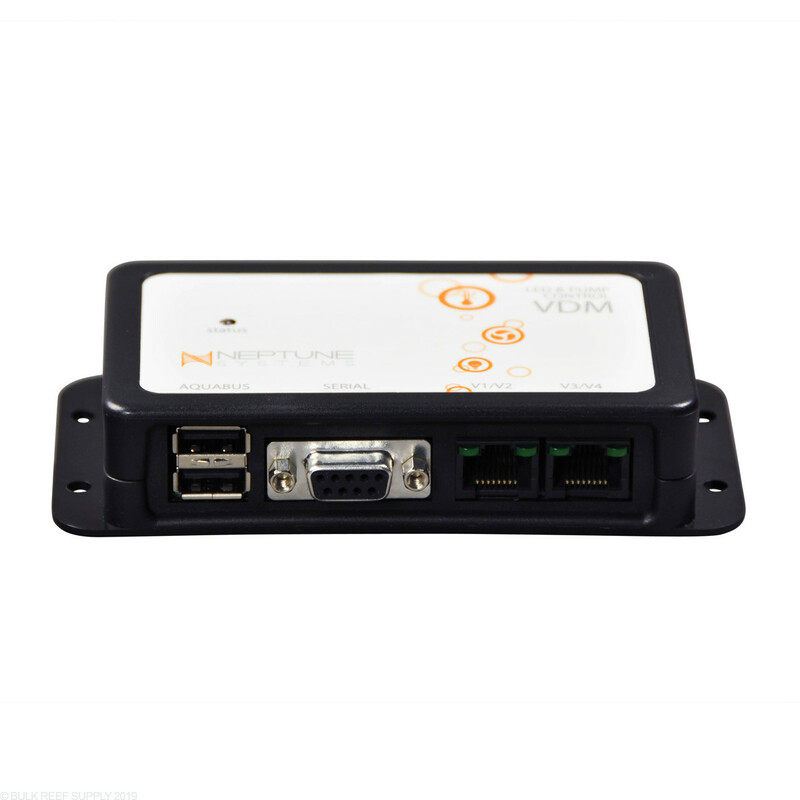 The ZS-7000 can be controlled and programmed through the included wireless remote, or with the use of the A100 wireless bridge adapter can also be connected to and programmed with iOS and Android mobile devices. 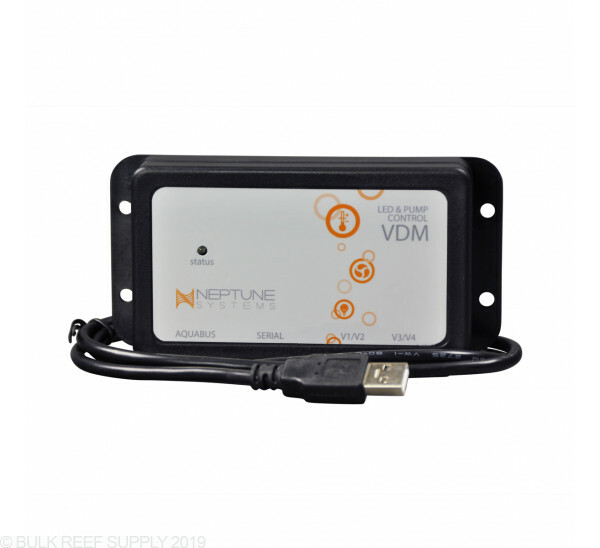 If I'm going to control 4 Kessil A360 lights and 3 Tunze powerheads, do I need two VDM's or 1 VDM and a ___________ ? It depends on how you want to control the lights. If you want every light fixture to be able to be controlled individually, then you would need a VDM port for each individual light. Otherwise you use a single VDM port to control the first light and then daisy chain the other lights to the first light. The first light will be controlled by the controller and act as the master light and control all the daisy chained lights. Can I use this module with the Koralia controllable pumps? Or will it just work with the Tunze pumps. The module only works with the Tunze pumps (as far as controllable pumps goes that is). The Koralia doesn't have any 3rd party controllers that I am aware of and the line has also been discontinued.